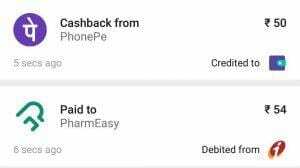 Tip: You can Search For Paracetamol, Crocin, Ceredon or Other Daily use medicines & order them For Free else You can order other Required Medicines.Upto Rs 500 cashback on Pharmeasy on transaction via PhonePe(UPI/Cards/Wallet).Cashback can vary between Rs 50 and Rs 500 for users. Valid Once during the offer period. If you are eligible for more than one offer, the offer giving you the maximum Cashback is automatically picked up for you. 3. Now Proceed to Checkout & Apply Promo code from any of Below. 4. Now Add Prescription or Simply tick on Free Doctor Consultation if You Don’t have Prescription. 5. 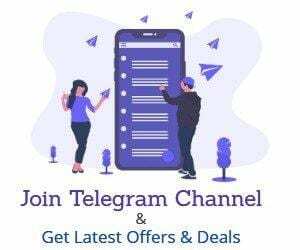 Proceed to Payment and Select Phonepe as a Payment method. 3.Now Proceed to Checkout & Apply Promo code from any of Below. 4.Now Add Prescription or Simply tick on Free Doctor Consultation if You Don’t have Prescription. 5.Proceed to Payment You will Get Rs.100 Discount instantly.